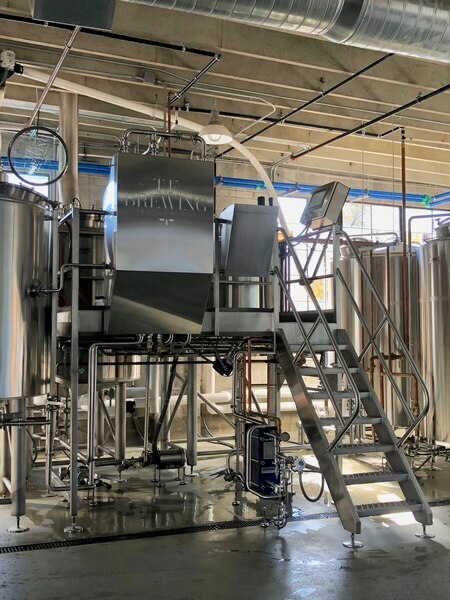 (Courtesy Photo) The new stainless steel brewhouse at T.F. Brewing, a new German-style brewery and tavern that opened recently in Salt Lake City. 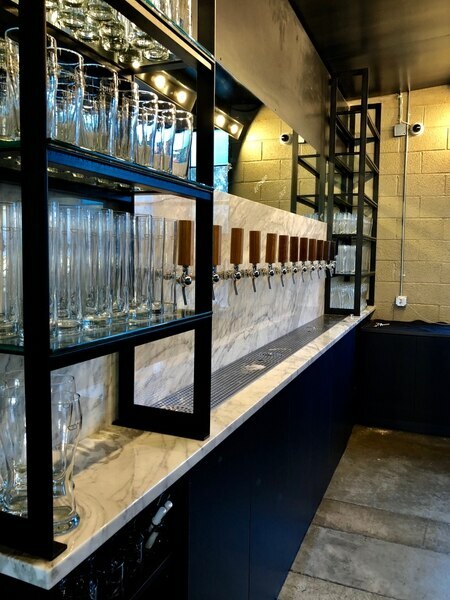 (Courtesy Photo) The taps at T.F. Brewing, a German-style brewery that opened recently in Salt Lake City. (Courtesy photo) Salt Lake City's new T.F. 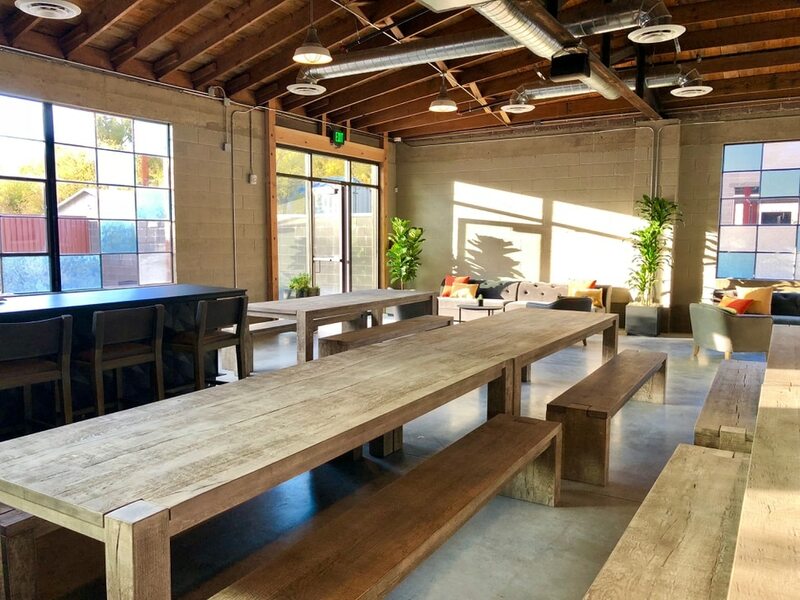 Brewing features long communal tables, reminiscent of what's found in many German bars. (Courtesy photo) The patio at T.F. Brewing, a German-style bar that opened recently in Salt Lake City. (Courtesy photo) The original building windows highlight modern furniture at T.F. Brewing, a new German-style bar that opened recently in Salt Lake City. (Kathy Stephenson | The Salt Lake Tribune) T.F Brewing, opened last week at 936 S. 300 West, in Salt Lake City (Courtesy Photo) An American Wheat Ale and the My Son Porter at T.F. Brewing, which opened last week in Salt Lake City. 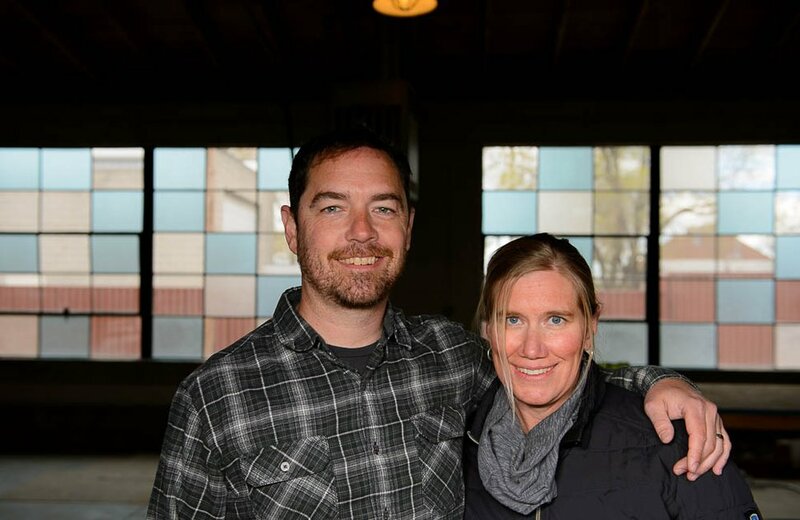 (Trent Nelson | The Salt Lake Tribune) After 18 years at Red Rock Brewing, Kevin Templin, left, is going out on his own, opening T.F. Brewing with his wife, Britt, his father and several investors — including parents on his son's hockey team. Salt Lake City’s newest brewery — T.F. Brewing — opened last week in the Granary District, adding a German vibe to the state’s expanding beer scene. The 8,500-square-foot structure at 936 S. 300 West has a 15-barrel brew house for beer production as well as a tavern for those 21 and older with large communal tables, velvet couches and a bar where guests can watch brewers at work. An on-site beer store, a spacious patio and a private Barrel Room for private events round out the new locale. Head brewer Kevin Templin — who co-owns the business with his wife, Britt — enjoys making German lagers, and his opening menu includes several on tap, including a Zitrone Wheat Ale, Kellerbier and Leichte Weisse. There are also an American Avenue Pale Ale and “My Son” Porter, named for his son, Porter. An Imperial IPA, called Ferda, will be available in cans. In addition to the beer, the family-run brewery — T.F. stands for Templin Family — will host a rotation of popular food trucks each day. (Trent Nelson | The Salt Lake Tribune) After 18 years at Red Rock Brewing, Kevin Templin, left, is going out on his own, opening T.F. Brewing with his wife, Britt, his father and several investors — including parents on his son's hockey team. Templin was one of the early players in Utah’s craft beer scene. He came to Utah more than two decades ago to ski but stayed to be the head brewer at Red Rock Brewing Co., a job he held for 18 years. During that time, he watched the state’s brewing scene grow from just two breweries — Squatters/Wasatch and Uinta — to more than two dozen and counting. But it was time, he said, to do something of his own. T.F. Brewing • 936 S. 300 West, Salt Lake City. Open Tuesday to Sunday, 11 a.m. to 11 p.m. Food trucks on site daily from noon to 10 p.m.